During the warm summer months, there is nothing better than enjoying the day out with your own selection of home made foods and refreshments. 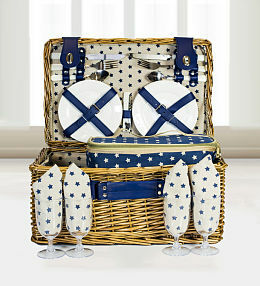 Prestige Flowers is proud to bring you our new range of picnic hampers just in time for summer! 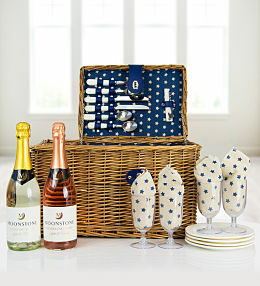 Our handmade willow picnic baskets are available in different shapes and sizes. 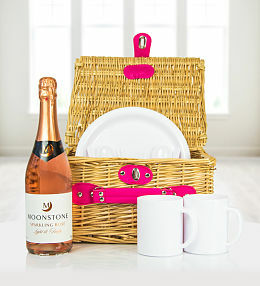 Two and four place setting options are available with plates, cutlery, glasses and other extras like corkscrews,BBQ utensils, rugs and napkins also included â€“ depending on the basket you choose. 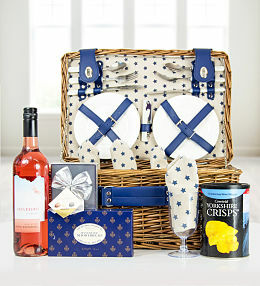 Take special note of the tasty treats like chocolates, biscuits, crisps and other delicious extras added to various baskets. Each basket has been carefully planned and themed to suit a wide variety of occasions from a romantic day out to family fun at the park and anything in between. 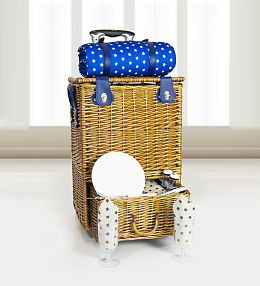 Our picnic baskets are also available for next day delivery in the UK and they make for practical and thoughtful gifts suitable for everyone. 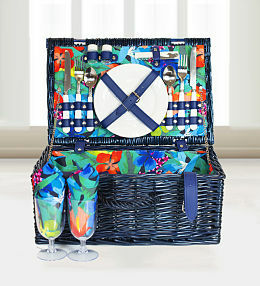 Summer picnic hampers perfect for all the family from £24.99 - perfect for the park, beach and anywhere with a tranquil view! 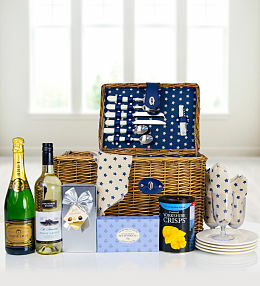 A new hampers collection at Prestige Flowers. 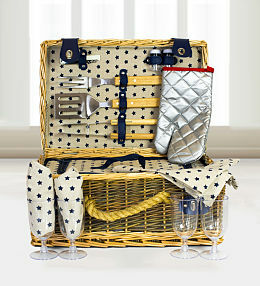 The picnic baskets are the perfect gift to give this summer.